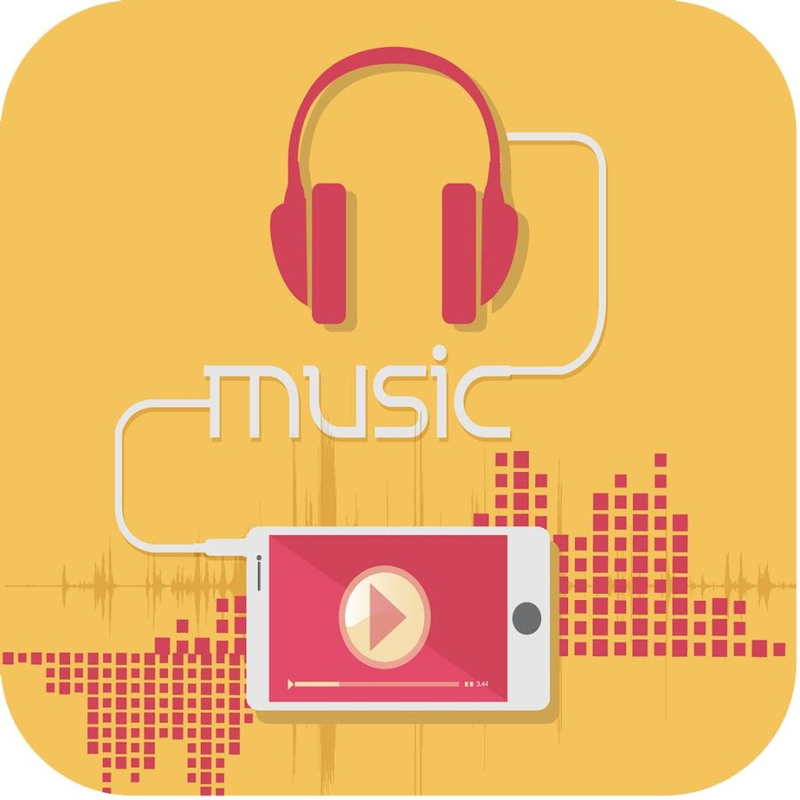 MP3 Cutter and Ringtone Maker is free Clone App for Music Editorapp creates ringtone, alarms, and notifications from MP3,WAV,AAC/MP4, 3GPP/AMR Audio formats. 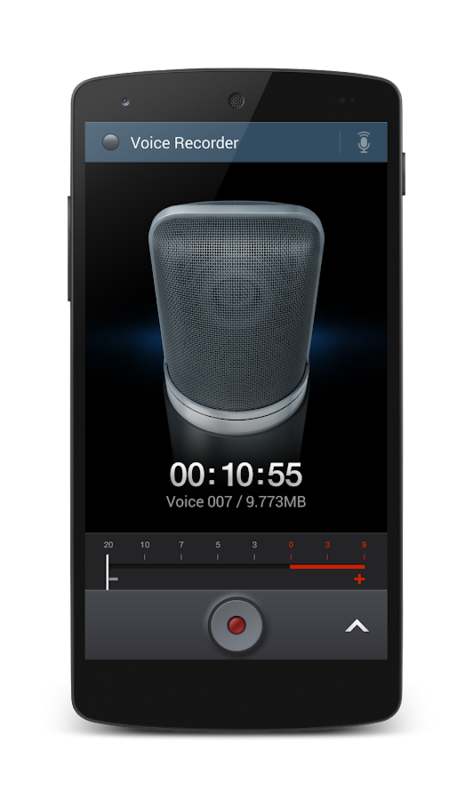 ♪ Record button at top left of app to record an audio/music forediting. ♪ An Inverted Red Triangle to Select and Edit Mp3/Music from yourMobile/SD. ♪ Option to delete (with confirmation alert) the createdTone. ♪ View a scrollable waveform representation of the audio file at 4zoom levels. ♪ Set start & end for the audio clip, using an optional touchinterface. ♪ Tap anywhere on the wave & the built♪in Music player startsplaying at that position. ♪ Option to Name the new cut clip while saving it. ♪ Set the new clip as default ringtone or assign to contacts, usingthis editor. photo editor effectThe best free photo editing software for yourbeautifulphotos!Choose photos from your gallery!Take photos with your camera!Beautiful frames in all colors and shapes!Cool effects and filters: black and white, sepia, retro,vintage...Text cute and life quotes on your beautiful photos!Sharing options for Facebook, Twitter, and Instagram!More photo editing options coming soon!Best photo application you can find!Get ready to have the best pictures on all social networks withfreeapplication Cadres Photo Retouching and Photo for Android ™!It is aperfect image editor that makes all your pictures lookfabulous in asecond. In addition, this amazing photo manipulationapp will addspecial effects, filters, text and cute life quotes,so that allyour images will look incredibly beautiful.Wrap your photos like a pro with our image processingapplicationbrand new! Make glamorous and luxurious photos withcamera effects,fancy frames, filters and photo! This stylish photoeditor with thepolice give you a chance to mount picturesluxuriously. PhotoRetouching and Cadres Photo is an appropriateimage decorator forchildren and adults. Take your time to explorevarious options thatphoto image editing application offers. Cameraeffects, collages,fantastic luxury frames for pictures awaityou!Get Cadres Photo Retouching and Photo , useful andcompletelyfree application that will add great effects to yourpictures love!Be your own picture editor, choose from a variety ofbeautifulimages of love for images and adjust to get the bestphotos! Try anew love photo frames for couples of this collectionthat intensifyyour feelings to the love of your life and can beperfect aswedding frames, the day of Valentine's Day or anyoccasion. Add newlife to your old photos! Use cute frames to makeyour photos a cooland beautiful appearance. Enjoy the fun!This amazing application for editing photos has much tooffer,simply download and try all the image editing options.Publish yourphotos published on Facebook, Instagram and Twitter andbecome themost popular image editor.Create cool retro images with this amazing camera application.Weguarantee that your photos will be very elegant and vintage,andthey will bring you many tastes of all your friends. We offeralarge collection of photo templates with cute text, layout oftheimage, stickers and many more. Choose your favorite photosandembellish them by adding filters and effects - black andwhite,sepia retro ...Download Cadres Photo Retouching and Photo and take your timetoexplore different photo editing options and beautifulcameraeffects. Get creative photo collages with effects, enter ourfreeapp and experience the coolest photo retouching ever! If youare afan of HD Internet without photo editing software, you willbecomebest friends with our application photo. Enjoy the use of ourfreeapps! MP3 Cutter and Ringtone Maker is free Clone App for Music Editorapp creates ringtone, alarms, and notifications from MP3,WAV,AAC/MP4, 3GPP/AMR Audio formats.How to use MP3 cutter - Music Editor1.Select mp3/music from your mobile or from Recordings.2.Select area to be chopped from your audio.3.Save as Ringtone/Music/Alarm/Notification.♪ Record button at top left of app to record an audio/music forediting.♪ An Inverted Red Triangle to Select and Edit Mp3/Music from yourMobile/SD.♪ Option to delete (with confirmation alert) the createdTone.♪ View a scrollable waveform representation of the audio file at 4zoom levels.♪ Set start & end for the audio clip, using an optional touchinterface.♪ Tap anywhere on the wave & the built♪in Music player startsplaying at that position.♪ Option to Name the new cut clip while saving it.♪ Set the new clip as default ringtone or assign to contacts, usingthis editor. Riddles GameLike riddles? Can you guess these riddles?What do you call a dog perspires so much?What falls but never breaks?Try this "Riddles Game!" It is the best puzzle word game, andit's free!For each puzzle, you'll have 12 or 14 mixed letters for thecandidate, and you will be shown the number of letters for answers.These are already the signs for you, so it is easier to traditionalriddles.There will be many levels for you to unlock if you answer enoughpuzzles, so you can guess the riddles futher without having toguess the current like other puzzle games.Go Go Go! now, let's start this puzzle game - Riddle Me That!,Riddles Game Riddle Me brains!Enjoy !!!!!!!!! Cut the best part of your audio song and save it as yourRingtone/Alarm/Music File/Notification Tone. The cut results arestored in "/SdCARD/RingtoneCutter". Create your own MP3 ringtonesfast and easy with this app. You can even record a live audio andthis MP3 editor can edit and trim the best parts from it. Alltotally FREE to your music!! Supports MP3, WAV, AAC, AMR and mostother music formats. 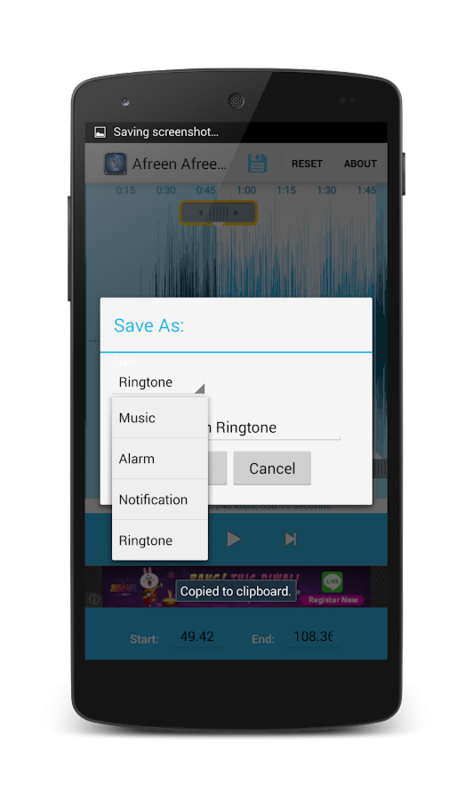 This app is also a music editor/alarm tonemaker/ ringtone cutter and notification tone creator. After clipringtones, easily be found in the ringtones library. And can beedited, rename, play, assigned, or delete operation. How to useRingtone Maker - Music Cutter: 1. Select mp3/music from your mobileor from Recordings. 2. Select area to be chopped from your audio.3. Save as Ringtone/Music/Alarm/Notification, or assigned to acontact. 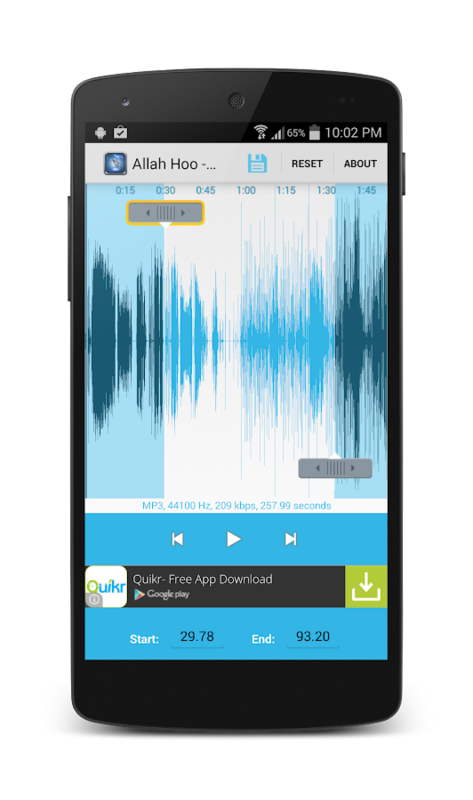 App Features: ♪ Record button at top right of app torecord an audio/music for editing. ♪ An Inverted Triangle tooperation Mp3/Music from your Mobile/SD. ♪ Click on the song listto quickly enter the cutting interface. ♪ Has a convenientinterface to set up the contact ringtone. ♪ Option to delete (withconfirmation alert) the created Tone. ♪ View a scrollable waveformrepresentation of the audio file at 4 zoom levels, support gesturezoom. ♪ Set start & end for the audio clip, using an optionaltouch interface. ♪ Tap anywhere on the wave & the built inMusic player starts playing at that position. ♪ Option to Name thenew cut clip while saving it. ♪ Powerful audition function beforecutting the music or assigned to a contact. ♪ Set the new clip asdefault ringtone or assign to contacts, using this editor. Use thisaudio cutter free of cost and make the best ringtone ever from yourold songs. Still envy the others ringtones nicely than you? Do nothesitate , download "Ringtone Cutter" now , began to DIY your ownring tones！ Disclaimer: "Ringtone Cutter" development based on opensource Ringdroid library . While adhering to Apache License 2.0 . Mp3 Cutter & Ringtone Maker Pro Cut the audio song and save itas your Ringtone. Make Your own MP3 Ringtones Fast and Easy withthis Application. You can record A live Audio and Add to MP3 Editorto results.This Application Supports MP3, WAV, AAC, AMR and OtherMusic Formats. You can make alarm tone,ringtone cutter andnotification creator.Hear How to use Mp3 Cutter and Ringtone MakerPro :--> Select your mp3 or any music file from your device orfrom Recrodings -> Then select area to be crop from your AudioFile.-> Then Save As your Ringtone or music file or alarm ornotification.Mp3 Cutter &Ringtone Maker-Pro audio cutter freeof cost and create the best and good ringtone ever from your oldsongs and new songs. 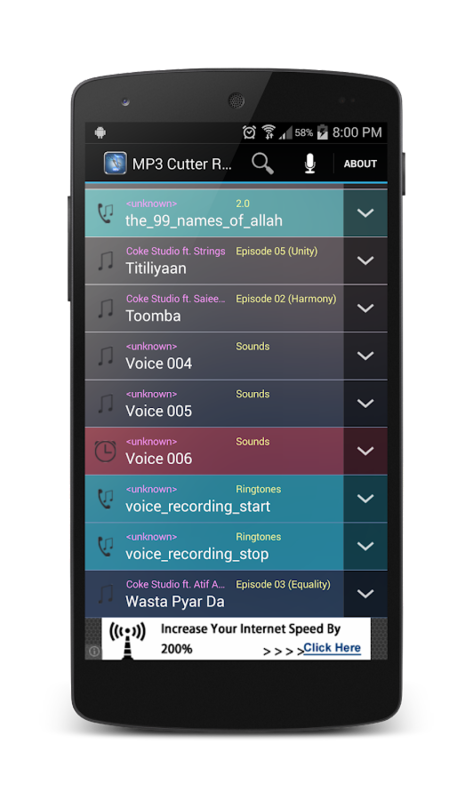 Mp3 Cutter & Ringtone Maker allows youtoselect any mp3 song/ audio song from your device and makeRingtoneeasily. It also allows you to set individual contactringtone foryour device contact list.You can make and set :» Alarm ringtone» Notification ringtone» Contact ringtone» short musicusing this awesome Mp3 Cutter and Ringtone Maker as well.It has a super user friendly editing panel to cut and makeyourringtone and many more. Launch the editor panel by selectingyourdesired song. Then set a range of duration of your song bydraggingtwo start and end drag button. Now cut and save it.enjoyIf you like this Mp3 cutter and ringtone maker don't forgettorate it and share with your friends. MP3 cutter is the best tool for editing music files in a fast andeasy wayCut the best part of your MP3 song and use it as yourringtone, notification, alarm, or music.Make your own MP3 ringtonesfast and easy with this appMP3 cutter bolo have very simple UI andeasy to handle functions. Description :> By using this app, MP3 Cutter free you can edit the musicfiles easily.> Select the song from the list of all mp3 files.> By using the forward and backward selector you can cut thefile.> Now you can save your edited file and can set it asringtone, with this free application, MP3 Cutter free.> This application, MP3 Cutter free is developed to makemusic editing easy. Mp3 Cutter and Ringtone Maker is an easy to use tool that can beused to create ringtones.